Whether you currently own a dog or are thinking about adding one to the family, looking into properly training your dog can be extremely beneficial to both you and your canine friend. Not many dog owners or non-dog owners can stand to see a poorly behaved pup. When our dogs misbehave or do not listen, it can cause stress on both the owner and the dog – and whoever else may be nearby. It’s likely that you’ve experienced an example of a disobedient dog, whether it be at the dog park or at a friend’s house – and chances are this experience wasn’t as joyful as it could be if the dog were well-behaved and if the owner had control over their dog. In this post, we’ll outline several benefits of dog training and the reasons why we suggest training for your new or old four-legged friend. 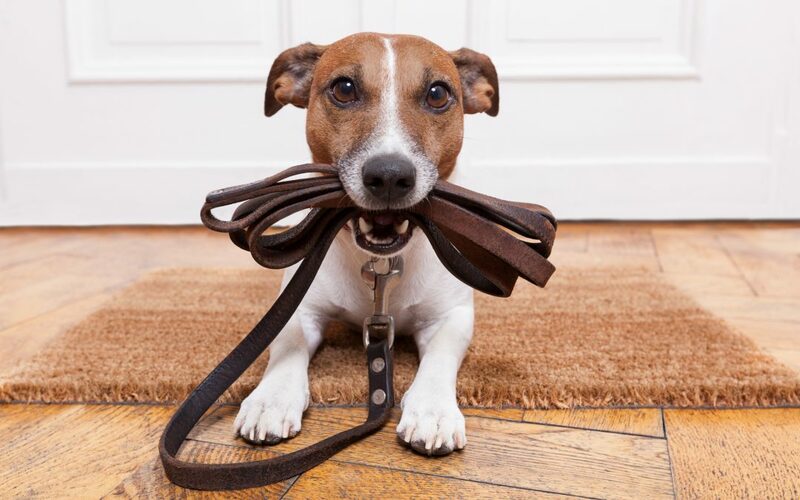 It’s a no-brainer, but getting your dog into obedience training will obviously lead to a better-behaved dog. You don’t want your dog to be that one at the dog park who’s nipping other dogs or other dog owners. And you also don’t want your dog to ignore your commands. Training your dog will prevent a rambunctious pet as well as an angry or frustrated owner. When your dog is well-trained, your dog will be happier. When our pets behave poorly, they usually suffer the consequences because they have frustrated or angered their owner. Whether you yell at your pup or you send him to his kennel, your dog will be less happy – and ultimately you will, too – when mistakes are made. The quality of life of your dog will drastically change after dog training because you and your dog will have learned ways in which to better communicate. When you train with your dog, you will learn how to read your dog’s needs. Soon, you realize that barking or pacing may be a signal that your dog is hungry or needs to go out, more than just an annoying thing your dog goes to get your attention. Therefore, instead of scolding your pup you can tend to its needs and you and he will be much happier. Another benefit of dog training is that your dog will be safer when your communication and understanding are better evolved. A well-trained dog will listen to its owner to sit or heel instead of chasing that squirrel or cat. Strengthening the communication between you and your canine friend will keep him at bay if a collar slips off or if the front door is left ajar. When taking your dog into public places, good obedience is imperative to your dog’s safety. Intersections can be busy and cars do not always look where they are going. If your dog has the proper training to walk close beside you and not lunge toward other people or pets, your dog is safer in these situations. A well-trained dog will also be a great hiking buddy. Sometimes, it’s great to let your dog run loose in the woods, but not all dogs will notice potentially harmful situations such as a barbed wire from an old property line fence. Knowing how to properly control your dog by voice can save him from potentially severe injury. People are also safer around an obedient dog. Some dogs can be quite nervous and easily shaken. For example, when around younger kids, it is extremely important that your dog knows how to behave – kids can be unpredictable and some pets may react and nip at small children. It is imperative that your dog remains calm and pays attention to you when around groups of children – and adults. Furthermore, a disobedient dog may get into a plethora of things when the owner is away from the house. Some dogs can not only cause a lot of damage to a home but also to themselves. If a dog is a chewer or explorer, they may try new things while you’re away at work, which can lead to intestinal issues – some of which can be severe. Remember it’s never good to leave out anything harmful to your pup, but it’s even better to know that your pup isn’t even interested in chewing up your kid’s new toy because of a successful training schedule. An obedient dog can also be a more active dog! When your dog knows how to listen to you, there’s more freedom to take your dog out and about. Whether it’s to a friend’s house, the farmer’s market or the nearby state park, a dog that is well-trained will be set up for success when it comes to spending more time with his owner. If you’re a walker or runner, being able to take your four-legged friend on a hike or jaunt may be one of the reasons you wanted him in the family. One of the benefits of dog training will be that your dog will be able to pay better attention to your commands while also doing a fun activity. And if your dog isn’t tugging the leash on a jog, both of you will have a much better active experience together. When your dog is able to spend more time with you and other dogs, it lives a happier life. Good training makes for good social skills – something all dogs, young and old, can benefit from. When dogs have great social skills they are able to successfully interact with all sorts of other canine friends and their owners. We all know that puppies can be very difficult (though very cute) at first. Signing up for training with your pup will make room for Spot to learn proper doggie social skills from a young age – sometimes something very difficult to teach older dogs (we all know the phrase). Making sure to train your dog well will mean even the most rambunctious of pups will be able to come with you to visit your workplace or stop by the grocery store. Ultimately, you want to give your dog (and yourself) the tools to succeed as new best friends. Proper dog training will give your dog a happier life because you and he will learn each other better, therefore creating a stronger bond. When your dog is well-trained, you can rely on him more in social settings – and when you’re away from home for the day! If you’re in the Pheonix area, don’t hesitate to contact Lose the Leash for all of your dog training needs. You can reach us by phone at 480-818-4899 or schedule a free, in-home evaluation by clicking here.